« Teapot Magick ~ An Unusual Medium for Spellwork? Have you ever been in a place or with a certain person and later felt you were low on energy, achy or even not “clean” in some way? The next time you are feeling “off,” stop and think about where you have been or who you may have been with. Maybe you need a good cleansing. Cleansing magick can be useful in many ways. Not only can you use it to restore your energy, it can be used before a ritual so that the circle energy doesn’t contain any “hitchhikers” who may have hitched a ride on you! Now, we don’t need to go being paranoid about all this and go OCD on the cleansing. But cleaning does have its place. So many times I have had people ask me to remove a hex or curse from them. They are convinced that someone is out to get them. So I go along with it and ask them to do a good cleansing. First I tell them to clean their home from top to bottom, organize, and throw things away that they will never use again. Right there is where I generally lose them! That is not what they wanted to hear. They wanted me to light some candles and say some words and “fix” things. I would be willing to bet that most people who are feeling hexed have something going on in their environment. I’m not saying hexes or curses don’t exist, but it is more common to have stagnant energy in your home that is messing with your mojo. If you want to add more oomph to your energy, then a good cleansing will set you up for success. So let’s get to brewing some magickal cleansing tea! There are many herbs used for cleansing, but remember we need something that can be ingested. It would also be nice if the herbs were to make a pleasant tasting tea. I know Love Potion #9 tasted like turpentine, but there is no reason why your tea can’t taste great. There are many lists online and in books of magickal herbs and their properties. I am going to let you research all the possible herbs you might use to make a magicklly cleansing tea. Be creative and come up with your own formulas. I will, however, share my cleansing tea recipe and the spell to go with it. 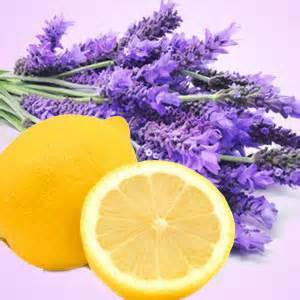 Lemon and lavender have long been considered to be very purifying and cleansing. Lavender’s latin root word is the same as the Spanish word, “lavar” which means “to wash”. Consider also, all the cleaning products that have that “lemon fresh scent”. Fortunately, both lemon and lavender can be eaten. Create a potion to make me clean as new! Bring about a sense that all is right! This teapot energy will work my cleansing spell! Now, pour your tea and smell that lovely lemon lavender aroma. How clean and fresh it smells! Picture that energy permeating your energy field to wash all the negativity away. Take a sip and cleanse away! If you wish to send cleansing to another person, picture them shrunk down and see them standing in your cupped hands. Inhale the cleansing and blow it on the “mini person” in your hands. Know they have been cleansed. Sit back and enjoy the rest of your tea. Do you have a friend that has been going through some drama? Invite them over for a cleansing tea party. It is best to let them know the purpose of what you are about to do. People do have free will, after all. You can use this same brew in cleaning your home. Wipe down the counters and use it to mop floors. Don’t forget to recycle the lavender and lemon to your garden or compost heap. So there you have it! My Lemon Lavender Cleansing Teapot Spell!